An alternative to Southern California Edison hit the scene this month in a big way. 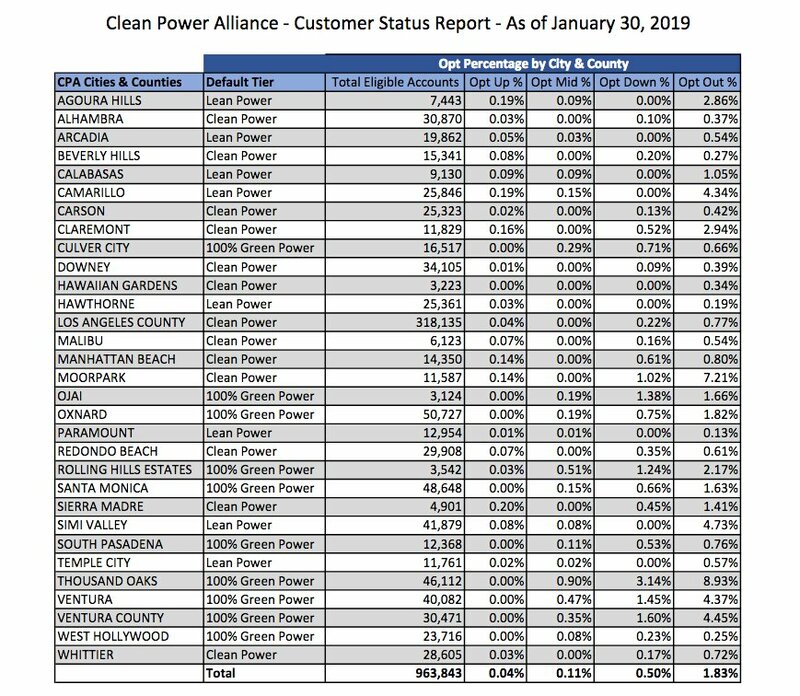 On Feb. 1, roughly 946,000 customers in 29 cities and Los Angeles and Ventura counties became customers of the Clean Power Alliance. Even though many customers might not realize the change in their power producer, the emergence of community choice aggregation is dramatically changing the energy market. CCAs such as Clean Power Alliance let governments band together to procure renewable power and storage. The goal is to offer Edison and other investor-owned utilities competition by offering customers choice, producing a lot more clean energy and generating backyard economic activity through local investments in renewables. Edison continues transmitting the energy, maintaining the infrastructure and sending out bills, but the power will come from Clean Power Alliance. Ratepayers have the option of staying with CPA, returning to Edison or choosing a different mix of renewable energy than the one selected by the elected officials who represent them. 36 percent (“lean” power): 1 percent savings compared to Edison base rates. This includes Camarillo and Simi Valley ratepayers. 50 percent (“clean” power): Equal to Edison base rates. This includes Moorpark ratepayers. 100 percent (“green” power): 9 percent higher than Edison base rates. This includes ratepayers in unincorporated Ventura County and the cities of Ojai, Oxnard, Thousand Oaks and Ventura. But those aren’t the only changes afoot. Rates will climb higher in April and possibly again later in the year, regardless of what option a customer chose or chooses. A customer can make a change at any time, but an “opt out“ to Edison requires a 12-month wait before returning to CPA. On Jan. 31, the California Public Utilities Commission approved a request by Edison to raise rates to recover an $815 million shortfall in 2018. The shortfall stems from a spike in temperatures that coincided with a steep increase in natural gas prices, Edison said. That will translate to a 5 percent increase for the 12-month period that starts in April, according to Edison. Aliso Canyon is operated by Sempra Energy Southern California Gas Co. system, which is not affiliated with Edison. The Clean Power Alliance objected to its customers having to pay part of that charge. Edison said its decision is consistent with state law and treats all customers fairly. Edison bought the power in 2018 on behalf of all of its customers, which included those who on Feb. 1 moved to CPA, the company said. Additionally, Edison refunds customers when energy costs were lower than anticipated, which is why customers got a 1 percent decrease to their bill on Jan. 1, 2019, compared to Jan. 1, 2018, said company spokesman Ron Gales. As of Jan. 30, roughly 23,900 customers had made changes to their accounts, reflecting 2.48 percent of customers. The majority of those opted out, meaning they’ll continue to receive both transmission and power from Edison, but 0.61 percent chose a lower tier of renewable energy and 0.04 percent chose a higher mix. That so few customers made changes isn’t unexpected. It’s one of the reasons the enabling legislation that allowed for community choice aggregation made it an “opt-out” program. Proponents of 100 percent also argued few people would make changes to their providers. “Behavioral studies demonstrate that the vast majority of people stick with the default setting. 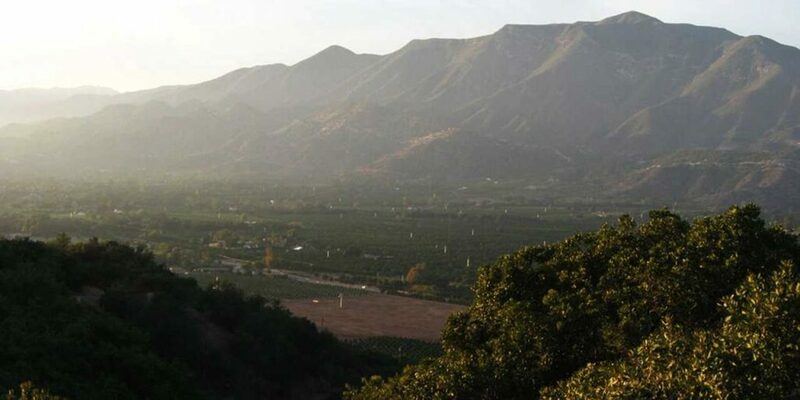 Since we want more renewable energy, then our defaults should support that,” Michelle Ellison, Ojai’s alternate to the CPA board, wrote in an op-ed to The Star. The highest opt-out rates happened in Thousand Oaks (8.93 percent), where an additional 4 percent went to lower tiers. Paramount in Los Angeles County, which chose 36 percent, reported the lowest activity, with just 0.13 percent opting out and another 0.02 percent increasing tiers. Indirectly, taxpayers are helping foot the bill for cleaner energy in other ways too. The city of Ventura stayed at the 100 percent default, which will cost an additional $400,000, said Joe Yahner, Ventura’s environmental services manager. Had the city gone to the lowest renewable rate, 36 percent, it would have saved $45,000 compared to what it would have paid under Edison, he said. The County of Ventura also chose to remain at 100 percent at a cost of $736,000 compared to SCE’s base rate. Elected officials on both boards expressed strong support for CPA, with several saying the investment was critical for the well-being of generations to come and to do their part to stem the havoc scientists have warned climate change will bring. 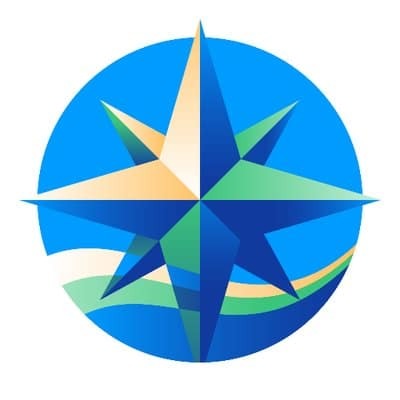 CPA will send out two more mailers letting customers know about the change and these will have the “corresponding percentages on them and also will have a clearer design per customer feedback,” Allison Mannos, CPA’s marketing manager, wrote in an email. CPA has visited 11 organizations throughout Ventura County since January, she said, and will continue to do outreach. She said the rollout has gone well so far. For its part, Edison expects a decision by midyear on its general rate case, submitted every three years, said company spokesman Ron Gales. Separately, it has a filing to recover costs for improvements needed to make it more resilient to wildfires. “We don’t know what they’re going to be yet because we’re waiting for a decision” from the PUC, he said. The company has also been letting customers know about changes to its pricing, which for businesses includes lower rates when a business isn’t operating during peak hours of 4-9 p.m. They used to be noon to 6 p.m. It’s also been rolling out programs to offer discounts that reduce energy usage on the 12 (typically) hottest days of the year. Starting March 1, residents will also be able to take advantage of new pricing plans that reduce costs for households that reduce usage from 4-9 p.m. More details on those offerings are coming and will be available at sce.com, Gales said. The new kid in town: Southern California Edison’s competitor is up and running, by Arlene Martinez, VC Star, February 9, 2019.